Phase 1 is sold out! Don't miss your chance to purchase one of these fantastic units during the release of Phase 2. 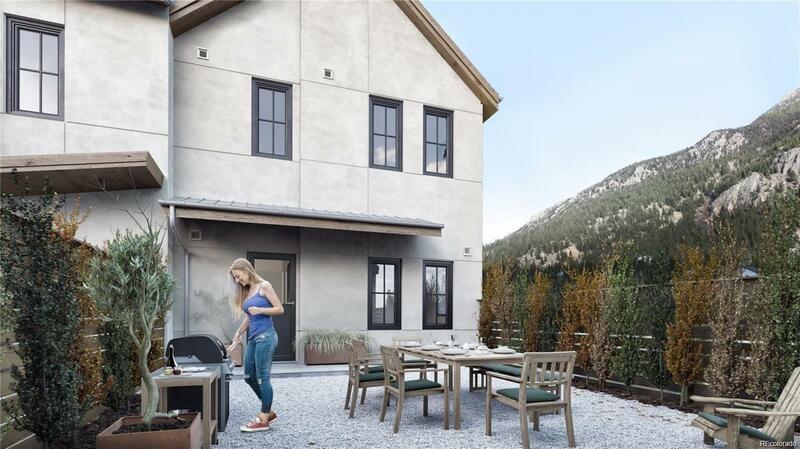 Bighorn Crossing has refined the idea of mountain living in a community of 64 townhouses, 72 apartments, a full service Wyndham Microtel, and brewery. This exciting new development offers townhouse layouts with two or three bedroom options, three tiled-baths, a natural gas fireplace in the spacious living room, and an open floor plan. The kitchen has solid surface counter-tops and stainless appliances. Each townhouse has its own outdoor courtyard and a one or two car garage, plus off-street parking. Nature's finest is at your fingertips from this prime location. Enjoy the gorgeous lake and mountain views, easy access to the Arapahoe and Roosevelt National Forest, Georgetown Lake, local trails, and eight world class ski areas. Bighorn Crossing is steps away from the charming, historic town of Georgetown, Colorado, and just 40 miles outside of Denver. Offered by Keller Williams Foothills Realty. © 2019 Information and Real Estate Services, LLC. IDX information is provided exclusively for consumers' personal, non-commercial use and may not be used for any purpose other than to identify prospective properties consumers may be interested in purchasing. Information is deemed reliable but is not guaranteed accurate by the MLS or 8z Real Estate. Data last updated: 2019-04-25T15:38:08.533.